Help us meet our Matching Grant of $45,500! Or you can stop by when we are open and give us a check or put it on your credit card. We even accept cash, as long as the ink is dry. We are outgrowing our 2-stall 40x60 ft Car Barn. We need more room to protect at least one of the MBTA PCC cars that we have on the property, as well as room for two more trolley arrivals that are in the works. The extension will allow us to keep four cars under cover. We plan to include a pit for working on the PCC cars. The extension of the Car Barn will provide protected storage for our collection, as well as space to perform restoration. We regularly operate Shelburne Falls and Colrain Street Railway No. 10 (Wason 1896). We also have two MTA/MBTA PCC cars (Pullman-Standard-Worcester, 1951), one of which, the last trolley built in Massachusetts, is in the early stages of restoration. We have been offered the body of Fitchburg and Leominster Street Railway No. 60 (Wason 1904) and are working on its transportation to SFTM. This gives us an early trolley, mid-era trolley and a late-model trolley, all made and operated in Massachusetts. In 2020 we expect to also be long-term host to an operating trolley with Massachusetts heritage. All of these trolleys deserve to have access to covered storage. We don't have an Annual Appeal. 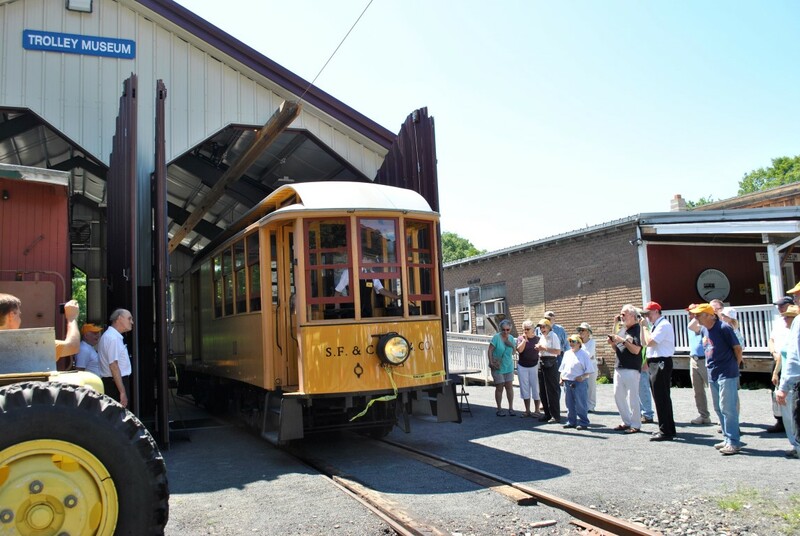 We hope you'll continue to be a Member of The Shelburne Falls Trolley Museum and make your usual generous donations, and make an extra donation to help us extend our Car Barn. The DONATE button below makes it very easy! You can learn more about our original Car Barn project and see pictures here.